TOBY WOOLLASTON checks out Crazy Rich Asians and discovers a cliche-ridden – albeit visually sumptuous and warm – film. Cinderella meets Singapore tourism promotional video in this modern fairytale of love and family fallouts. Employing every cliched Hollywood trick in the book, Crazy Rich Asians is a tale that taps into implausible but archetypal characters and familiar narrative arcs. It’s wonderfully vibrant and wafer thin. 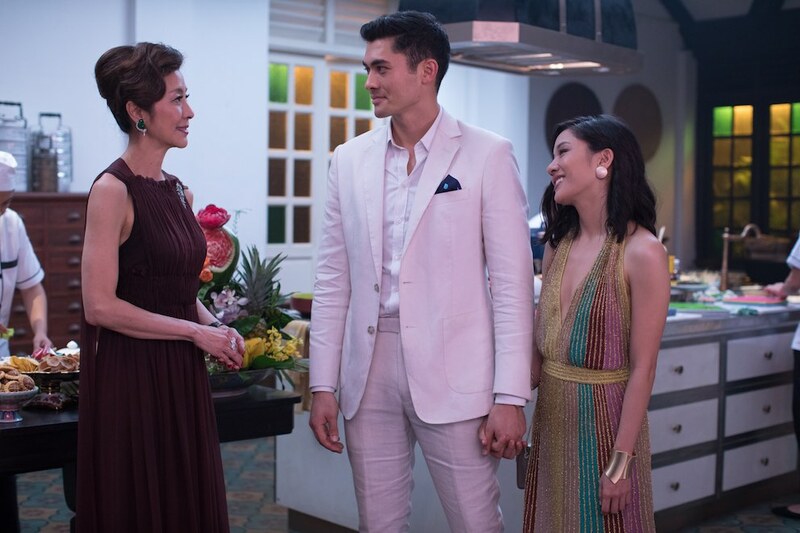 Rachel (Rachel Chu) and Nick (Henry Golding) are a young New York couple in love, but when she is taken to meet his family in Singapore things go a little pear-shaped. It turns out Nick’s family are obscenely wealthy; the type of gratuitous showy wealth that has you despairing for humanity. Soon after hitting Changi Airport’s tarmac, the supporting cast of cliches begin to roll out—the flamboyant gay cousin (comic relief: check); the catty ex-girlfriend (minor antagonist: check); the disapproving future mother-in-law (major antagonist: check); the list goes on. Rachel must negotiate a minefield of disapproving looks and back-handed comments as she is reluctantly dragged around the many extravagant events, parties and occasions that highlight Singapore’s opulence. One does wonder if the Singapore Tourism Board slipped Director Jon M. Chu a fiver to show off the city’s lights and glamour. Plot-wise there is nothing fresh here, but it is visually sumptuous and exudes plenty of feel-good warmth. The pairing of an entirely Asian cast with familiar Hollywood tropes is a master-stroke that will no doubt do wonders at the international box office. However, even though the East-meets-West sensibilities might herald ethnic diversity, there is an unsavoury whiff of cultural imperialism at play here; the long-arm of western consumerism is laid bare like a Coke bottle in the Sahara, although here it’s an Aston Martin in Singapore. But lest I lose myself in murky cultural waters and lose sight of the obvious fantasy, Crazy Rich Asians seamlessly weaves its many cliches into a dazzling rom-com. Perhaps a tad light on the “com”, but still a sensory light-show that will melt many people’s hearts …and no doubt do Singapore tourism some big favours as well.